The working group is developing the specification to provide content portability across diverse browsers and platforms, including the capability of portable, secure shader programs. WebGL will be a royalty-free standard developed under the proven Khronos development process, with the target of a first public release in first half of 2010. Considering the WebOS is based off Linux, it certainly seems like OpenGL wouldn't be especially difficult to port to it. Then developers could use WebGL to integrate 3D graphics into their WebOS application. A surprisingly elegant solution, albeit something we'll have to wait until 2010 for. Not too long ago we saw a Palm job posting for a Game Frameworks Engineer. We can only hope the people who work on the Mojo gaming framework plan on implementing WebGL as it becomes available. 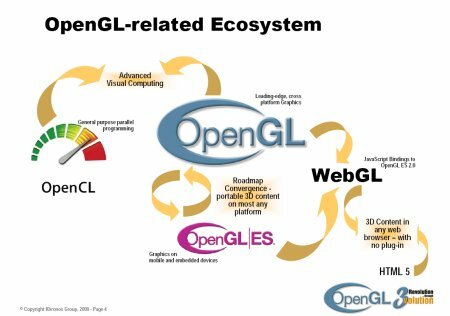 Not only would it save development time from making their own 3D graphics API, but it looks as though WebGL has the potential to be an industry standard. The WebOS has shown Palm is on the cutting edge of web-based technology, here's hoping they continue that by adopting WebGL wholeheartedly.